Are you using your office printer to its fullest potential? If you’re like most people, probably not. Most of the time printers are only utilized for their basic jobs – printing, copying, and the occasional scanning. But did you know that printers, especially newer lines like Konica Minolta bizhub, can do so much more? 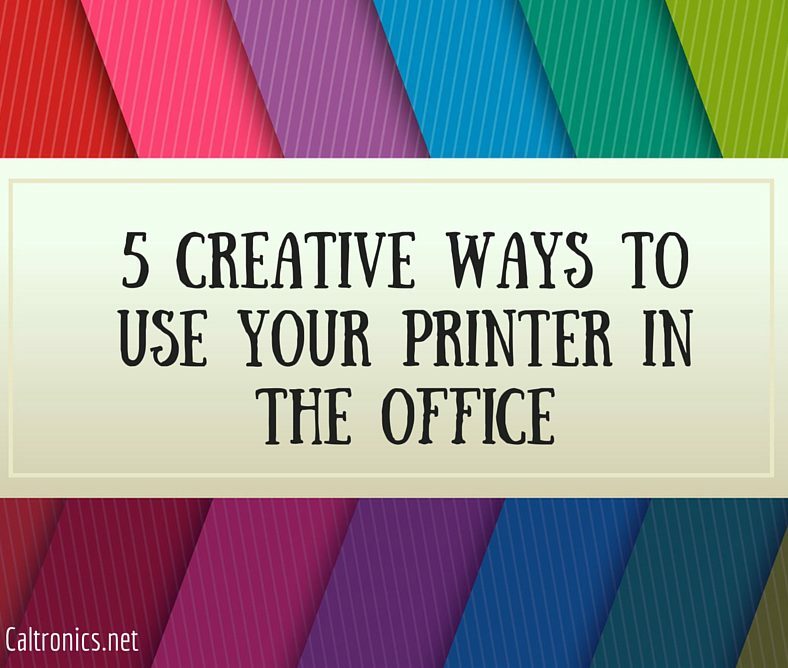 Your printer can be used for fun projects, enhancing the workplace, and even saving you money on things that you would normally pay someone outside of the office to do. This one is just a general suggestion for how to get more out of your printer, but really the suggestions are endless. You can print on tape, fabric, cardboard, wax paper, decals, and so much more. With some extra computer software (or the right multi-function printer) you can print a poster as large as you need in blocks of pieces of paper. This is an affordable way to make a quick and easy large poster for any occasion. Having a family-friendly event at the office? One fun idea that utilizes the printer is creating temporary tattoos. You can actually purchase paper specifically for temporary tattoos, format the pictures you want as the tattoo, and you have a fun take home gift or way to wear your company pride around the office. You can use it to print out supplies for the office party like napkins, signs, and cake pictures with personalized photos, designs, words, and more. And you can do all of this inside the office for cheaper than it would be to get normal napkins, let alone personalized ones. 5. Print your own unique business cards. This list is only five of countless applications for your printer, from the practical to the absurd. And if utilizing your printer more creatively piques your interest, do not let your office settle for a second rate printer. Caltronics Business Systems can get you an affordable, top-of-the-line printer, and give you tips and tricks on how to get the most out of it. This entry was posted in Uncategorized on July 25, 2016 by riehlt. Working with students in schools is very demanding. Students can be unpredictable, and they don’t always work when you want them to. Do these descriptions fit your school’s copiers as well? 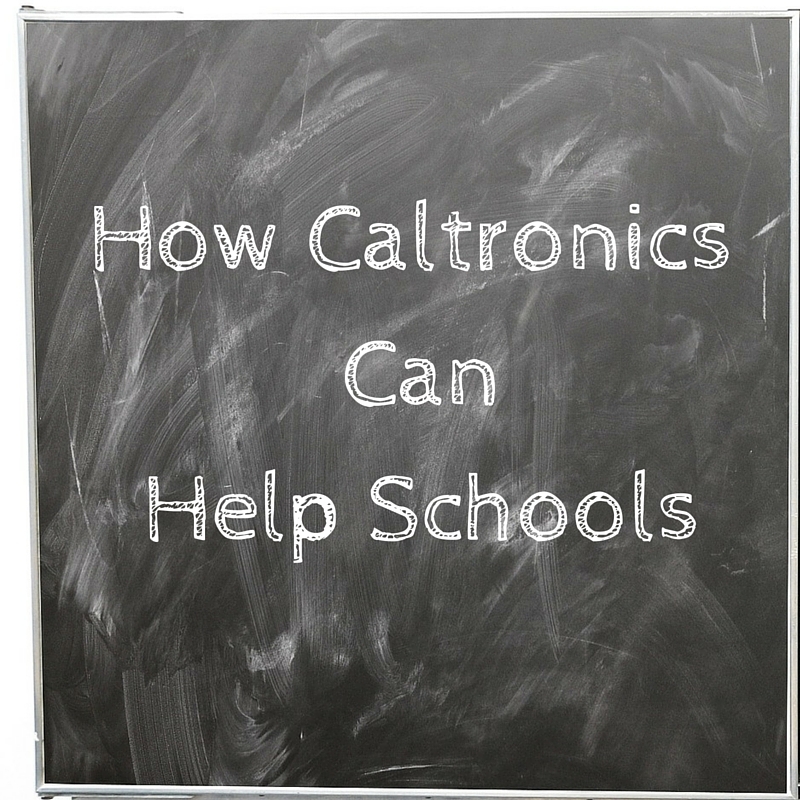 While Caltronics Business Systems can’t help with the students, they can make school employees’ lives easier by helping the school run more smoothly and efficiently. Caltronics specializes in improving document management and technology services in a myriad of ways that can benefit even budget-conscious schools. Schools obviously don’t have an unlimited budget, and some schools may hold back on upgrading printers and copiers out of fear of cost. But getting a new, more efficient multi-function printer can actually save you money in the long run. Your school could be spending hundreds of dollars a year on maintenance. And even more money is wasted when you consider the time spent by teachers having to fix paper jams constantly and wait by the printer to make sure every copy prints correctly. Brand new copiers like those from Konica Minolta come with settings that allow for plenty of customization with each print job, and it is easy for anyone to do it. Newer copiers and printers also use toner more efficiently, meaning that you won’t have to be spending as much on that either. Because of budgets, some schools decide to save money on paper just by restricting paper use. With Caltronics’ Managed Print Services, your school can save money by being more aware of copier usage and how to be more efficient. Caltronics document management goes far beyond just counting prints. They will be able to help you get more out of your copiers without needing to constantly worry about the costs. Teachers, school counselors, and administrators all have their hands full when it comes to making the school run as smoothly as possible. You shouldn’t have to worry about whether or not your copier is going to make this job more difficult. If you think your school could use a printer upgrade or could benefit from managed print services to help reduce the cost of printing, contact Caltronics Business Systems today. This entry was posted in Uncategorized on July 15, 2016 by riehlt.